Bring a poem, your own or someone else’s, and read it in a candle-lit circle of fellow aficionados in the 1920’s B Black Penthouse with its dramatic cityscape views. You’ll climb six floors to get there but a stop for single malt at the 3rd floor Whisky Way Station will make it worth the climb. Light bites and more whisky await you in the penthouse! Our cheeky Spirits Ambassador Johnnie “the Scot” Mundell pours fine single malt Scotch throughout the evening and offers erudite whisky education in between the reading of poems. PLEASE NOTE: NO TICKETS WILL BE AVAILABLE AT THE DOOR. 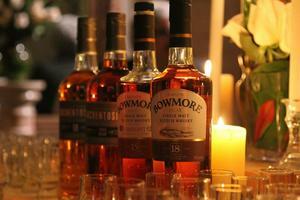 The Whisky & Poetry Salon is a PRESALE ONLY event. Past events have sold out quickly so don’t delay.